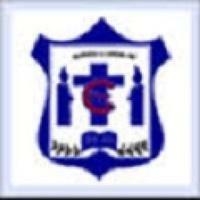 No hostel is available in Chevalier T Thomas Elizabeth College For Women. The quality of Classrooms labs are good, the Canteen is OK No variety of food Cost is average. The overall infrastructure is good at Chevalier T Thomas Elizabeth College For Women. The College has an air conditioned, modern auditorium, an open-air theatre and well-ventilated class rooms with fans and lights. The Conferance Hall can comfortably seat 100 students and is equipped with a OHP / LCD projector, visualizer and other audio visual aids. The Reverse Osmosis Plant provides clean drinking water. All facilities for feminine hygiene are provided. The Science labs provide excellent facilities. The airconditioned BCA and Computer Science labs are equipped to permit sixty students to work at a time. The Mathematics lab is also equipped with 20 computers and is airconditioned. The Physics and Chemistry laboratories are provided with scientific intruments of hight quality. The library, which has more than 14832 volumes of scholarly works and reference materials, subscribes to 29 periodicals, 22 academic journals and 8 newspapers. Its is equipped with OPAC (Online Public Access Catalogue) and 10 computer with LAN and NMEICT connectivity. The library is an active member of the UGC INFLIBNET N-list E-Resource Programme, Ahmedabad which provides access to 75,000 e-books and 3,100 full text e-journals. This facilitates scholarship and research amidst staff and students. The Braille Section in the library is equipped with NVDA (Non-Visual Desktop Access) which helps to convert video files to audio files. It also recieves Braille magazines from Anna Centenary Library. The IAS Section is regularly updated with magazines, books and other material. The Language lab benefits all students who are given periodic training in language skills, particularly in Spoken English. The UG and PG students undergo intensive soft skill training under a certified soft skill trainer.